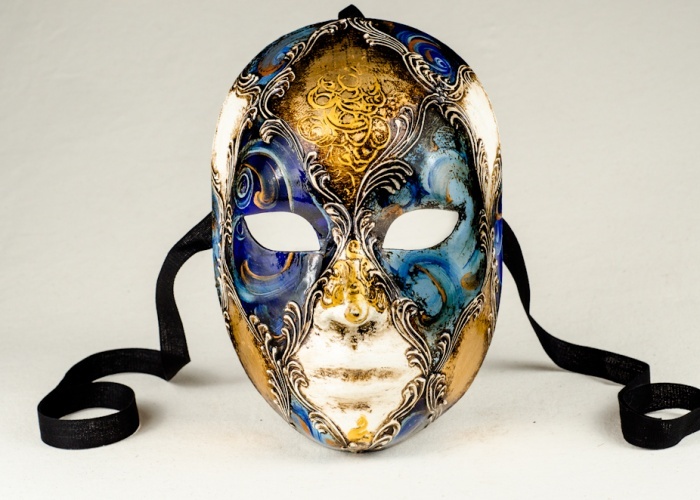 The 'Betty' model is a Carnival of Venice mask with a very complex decoration. The classic diamond pattern is reworked on this model with the use of fine materials such as gold leaf and gilded stucco. The blue and azure acrylic coloring is wisely used to create a variegated, never banal effect. Wax and bitumen coating give the final touch to the 'Betty 1'.